Save the Cypress Witch in this spiritual mystery game. Is there a better alternative to Spirit Walkers: Curse Of The Cypress Witch? Is Spirit Walkers: Curse Of The Cypress Witch really the best app in Puzzle category? Will Spirit Walkers: Curse Of The Cypress Witch work good on macOS 10.13.4? 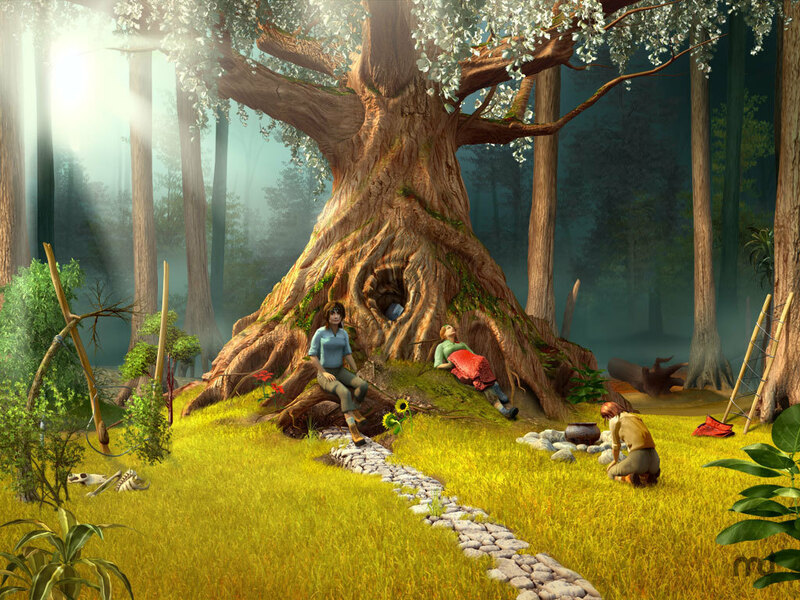 Spirit Walkers: Curse Of The Cypress Witch is a spiritual mystery game. After their hiking trip takes a tragic turn, a group of friends is forced to travel between realms to undo an old wrong and save the Cypress Witch. You'll be playing as Maylynn who, with a group of female friends, goes on what was supposed to be an innocent hiking trip. Soon enough however things get creepy. First, a ghost of a woman starts showing up in mysterious places and then one of your friends gets seriously hurt. Looking for help you end up at a beautiful and majestic cypress tree. Spirit Walkers: Curse Of The Cypress Witch needs a review. Be the first to review this app and get the discussion started! Spirit Walkers: Curse Of The Cypress Witch needs a rating. Be the first to rate this app and get the discussion started! That's where you meet the witch. She's the ghost of the young woman you've been seeing before. She offers help with rescuing your friend, but asks for a favor first: you'll need to travel to a different time and dimension to undo a thing that once went wrong. There'll be an old hotel to explore, a steamboat to fix, a Native American wedding to save and 10 characters to meet and talk to. What's unique in Spirit Walkers is that you'll be visiting several locations in two different realms. Some of the things can only happen in an etheric, magical dimension and you'll have to travel between it and the real world to complete your quest.